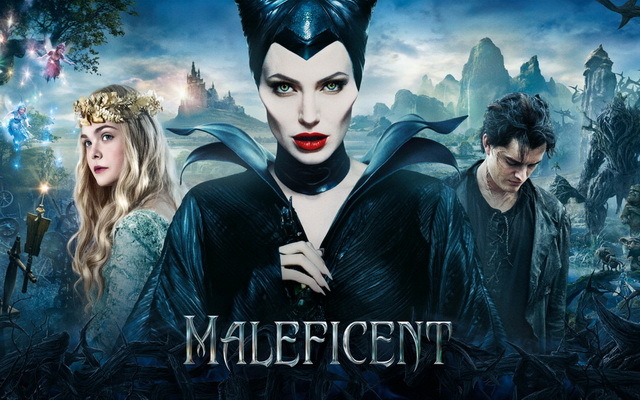 Disney’s reimagining of Sleeping Beauty, entitled Maleficent, is a great surprise for movie fans. Now, it is going to release it on Blu-ray discs. Reviews were published upon the film released, they basically wrote the film off as something of a “beautifully shot, art-directed-within-an-inch-of-its-life failure”. Remember Return to Oz? Something Wicked This Way Comes? The Watcher in the Woods? Those are pretty edgy films. Maleficent both is and isn’t this type of film. Maleficent is introduced to us as a young fairy living in an enchanted forest. It is a typical Disney style fairy tale. She befriends a lonely stable boy, who betrayed her to become king. The king later gave birth to a beautiful girl named Aurora and Maleficent planned to revenge on Aurora on her 16thbirthday by cursing her. Aurora fell into a coma; only true love would wake her up. Meanwhile, Maleficent becomes some sort of a fairy godmother, keeping a watchful eye on Aurora, hating her with a passion before growing to love her in her own way. This is the point Maleficent largely succeeds. This tender side of Maleficent touched me deeply. Much of the credit has to go to Angelina Jolie for her magnificent performance, which pretty much brings this anti-hero character to life. Simply for Angelina Jolie, . The writing is far from perfect, and yes, the film is all style and very little substance – but I never found it to be boring. This is an interesting take on the legendary tale, only the writing should have been stronger and the film should have been darker, but I thoroughly enjoyed it and wholeheartedly recommend it to you. For a detailed list of cast and crew of MALEFICENT, please visit here. MALEFICENT has its own Blu-ray, DVD and digital HD versions available since November, 2014 at less than $20 on Amazon, BestBuy, Walmart, Target, Disney Store and Toys "R" US. The Blu-ray features an absolutely gorgeous transfer. Movie fans should be pleased with it, as well as the many special features. Special features include several featurettes – "Aurora: Becoming a Beauty", "From Fairy Tale to Feature Film", "Building an Epic Battle", "Classic Couture", "Maleficent Revealed" – as well as deleted scenes. 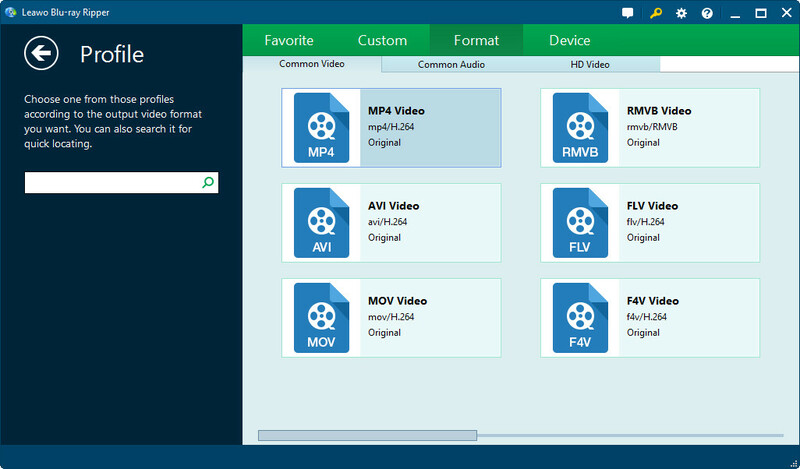 In cases you may need to copy Maleficent Blu-ray/DVD disc or get a copy of Maleficent Blu-ray/DVD disc as a gift to your friends for sharing, we would like to introduce you the best Blu-ray/DVD copy software to help you copy Malefient Blu-ray/DVD disc on your Windows and Mac computer. That is Leawo Blu-ray Copy. 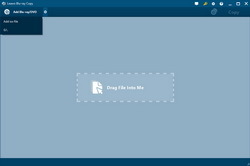 Leawo Blu-ray Copy could help you easily copy and backup Maleficent Blu-ray/DVD disc to computer hard drive or blank disc without quality loss. What’s more, besides quality lossless 1:1 disc to disc duplication, it even supports movie-only backup, which means you could simply copy and backup the main movie of Maleficent Blu-ray/DVD disc onto another disc for storage saving and convenient playback. 1. Insert Maleficent Blu-ray/DVD disc into the recorder drive. 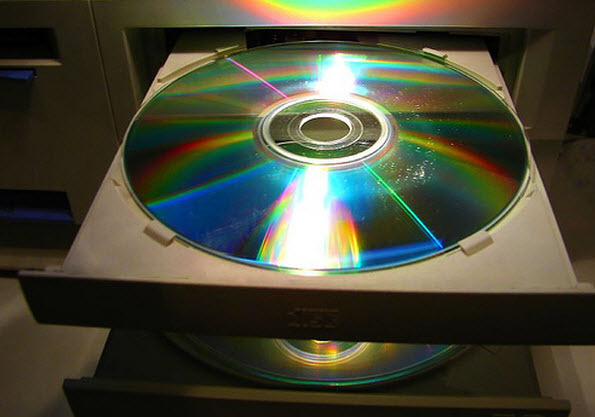 To copy Maleficent disc to disc, insert a blank writable disc into another disc recorder drive (if you have 2 recorder drives). If you only have 1 recorder drive, refer to the "Note 1". 2. Launch Leawo Blu-ray Copy, click "Add Blu-ray/DVD" button to add Maleficent Blu-ray/DVD disc into this program. Choose "Full Movie" mode at the bottom-left corner and set output disc type according to target disc. Set "Copy to", "Disc Label" and "Save to" options. Set the other recorder drive as target under "Copy to" option for copying Maleficent Blu-ray/DVD disc to blank disc. 4. 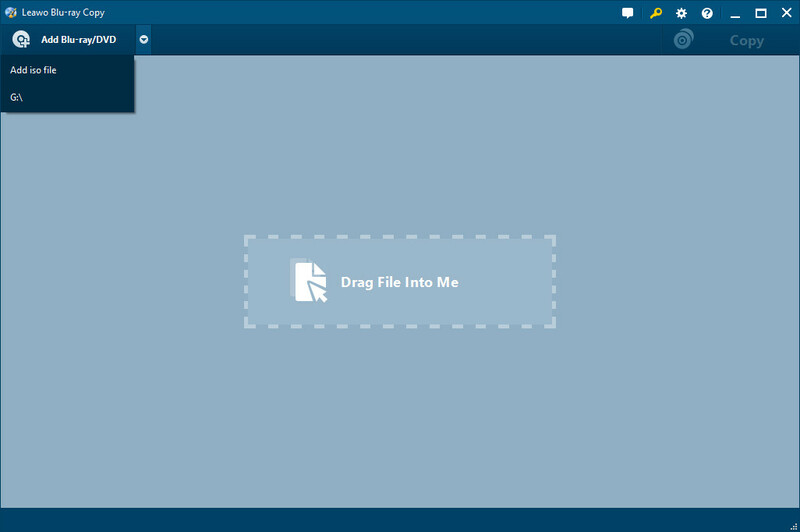 Finally, click the "Copy" button to start copying Maleficent Blu-ray/DVD disc to computer hard drive or blank disc. 1. If you only have one disc recorder drive, you could firstly copy Maleficent Blu-ray/DVD disc into ISO image file by selecting "ISO File" option in Step 3. Then you could copy the created ISO image file onto an a blank writable Blu-ray/DVD disc with Leawo Blu-ray Copy as well (see detailed steps below). Make sure your computer get enough space. 2. If you want a movie-only copy of Maleficent Blu-ray/DVD disc, choose "Main Movie" mode in Step 2. 3. In Step 2, set the output disc type (at the bottom left corner) according to the target blank writable Blu-ray/DVD disc. 5. Insert a blank writable Blu-ray/DVD disc into the disc recorder drive. 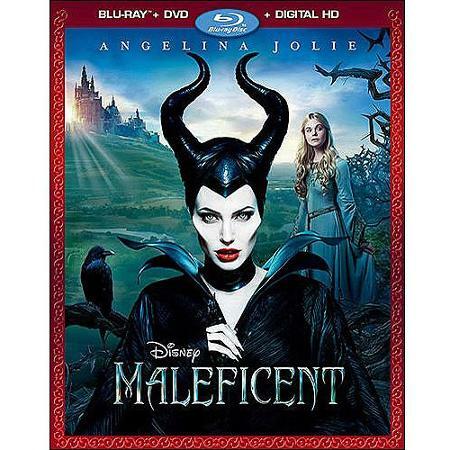 Drag and drop your Maleficent ISO image file into Leawo Blu-ray Copy. 6. On the popup "Add iso file" interface, set "Copy to" and "Disc Label" options. Set the recorder drive as target under "Copy to" option. 7. Click the "Burn" button on the "Add iso file" interface to start burning Maleficent ISO image file onto Blu-ray/DVD disc within this ISO burner. 1. Inserted disc should be in accordance with the disc type of ISO image file (see Step 2). 2. You could decide the Disc Label at your own will. 3. Turn to Leawo Blu-ray Copy for Mac if you’re using a Mac computer. Sometimes you may want to rip and convert Maleficent Blu-ray/DVD disc so that you could watch this movie on your iPad, iPhone 6S Plus, Galaxy S 6, and other portable players. You could then spend your long time train jouney by watching Maleficent movie with your iPad. To rip Maleficent Blu-ray/DVD disc, you need to prepare: source Maleficent Blu-ray/DVD disc, computer with Blu-ray/DVD recorder drive, and Blu-ray ripping software. 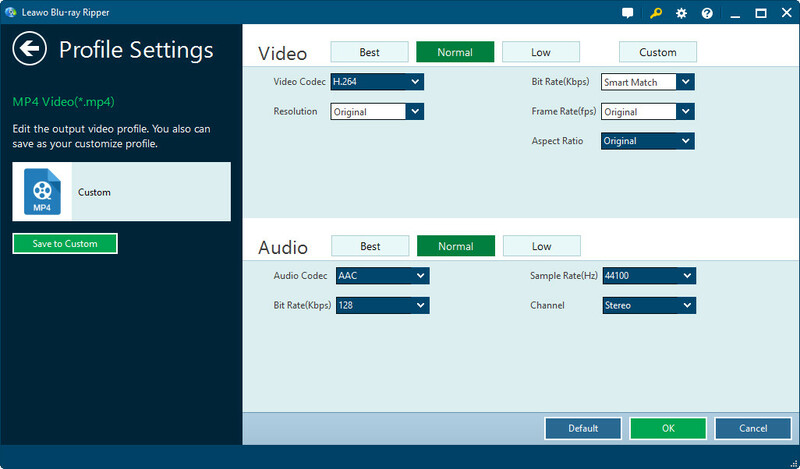 Leawo Blu-ray Ripper is an ideal Blu-ray ripping software program for you to decrypt, rip, and convert Maleficent Blu-ray/DVD disc to standard/HD video files in over 180+ formats like MP4, AVI, MKV, WMV, MPEG, etc. It could convert the main movie of Maleficent so as to save space for you for transferring to your portable player. The below steps show you how to rip Blu-ray/DVD Maleficent movie. 1. Insert Maleficent Blu-ray/DVD disc into the disc recorder drive. Launch Leawo Blu-ray Ripper and then click the "Add Blu-ray/DVD" buttun to add in Maleficent Blu-ray/DVD disc. 4. Click the big green "Convert" button on the main interface. Set output directory in the "Save to" box and then click the "Convert" button at the bottom to start converting Maleficent disc to video. To rip and convert Maleficent Blu-ray disc, you need to install a Blu-ray recorder drive for your computer, while Maleficent DVD converting requires DVD recorder drive. For movie-only converting, you need to choose "Main Movie" mode when loading source Maleficent Blu-ray/DVD disc. 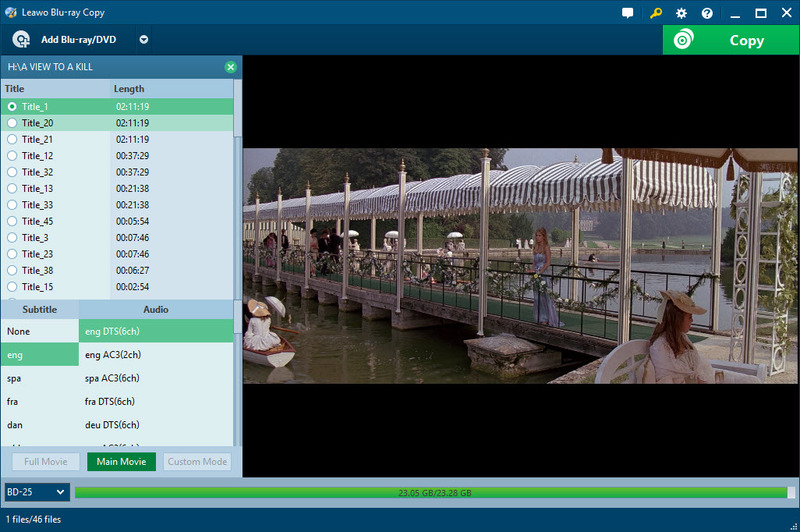 You could select subtitles and audio tracks from source Maleficent Blu-ray/DVD disc for output. It should be noted that the solutions mentioned in this tutorial are only applicable to people who own the Maleficent Blu-ray/DVD discs, not encouraging you to break the local law to decrypt, rip and convert Maleficent Blu-ray/DVD discs rent or borrowed from others. Make clear of the local law about DRM protection upon Blu-ray/DVD discs before you try to copy or rip Blu-ray/DVD discs.